CLOSEOUTS. Frayed edge embroidered back pockets and bold handstitching combine in Ariatand39s Amber Frayed Edge jeans, bringing a cool, modern appeal to the stretchy, relaxed fit design. Sanded and whiskered details make a bold statement atop the dark washed indigo denim. Available Colors: STARLIGHT. Your browser isn't supported for displaying eBay items. 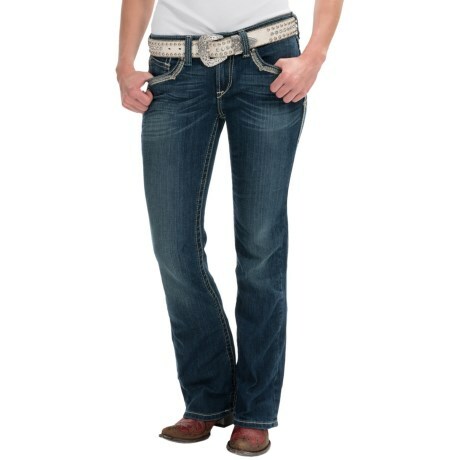 Go to eBay to search for Ariat Amber Frayed Edge Relaxed Jeans Bootcut Low Rise For Women.